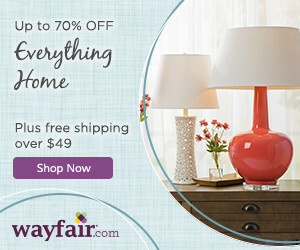 My daughter and I have been having a blast shopping for the perfect items to add to her fairy garden. 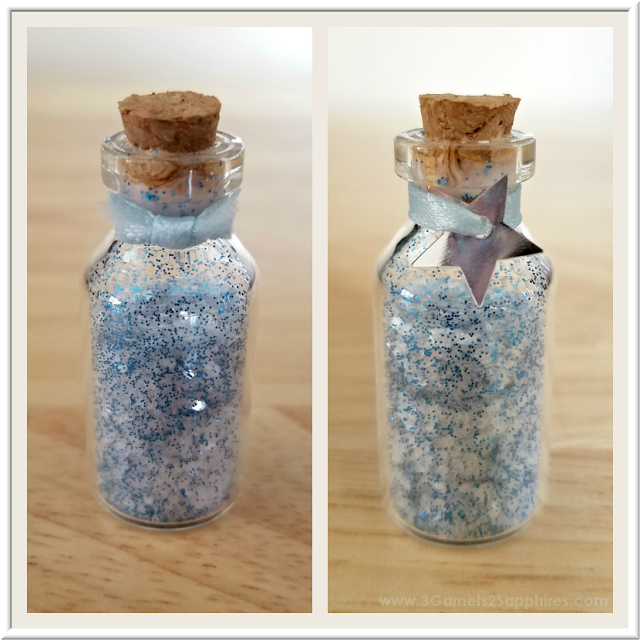 Since she and I also enjoy crafts (of the easy variety), we decided to try our hand at creating our own miniature bottles of fairy dust. We had seen bottles of fairy dust for sale that were filled with brightly-colored glitter. 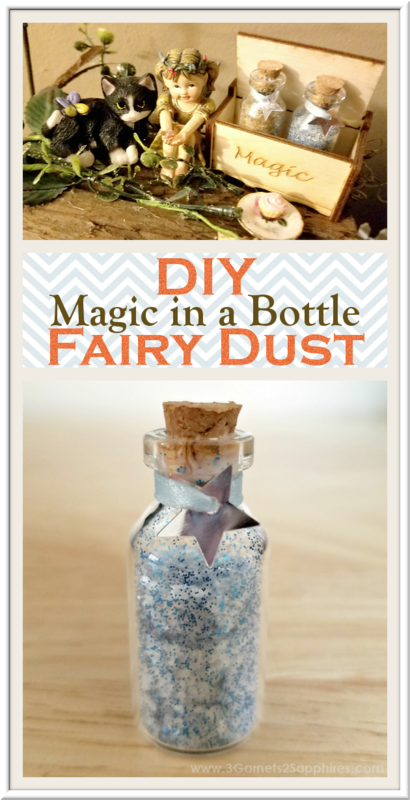 They looked pretty cool, but we wondered how could we expand on that idea to make our bottles of fairy dust even more magical? This is what we came up with . . . Step 1. If you don't happen to have a small funnel handy, you can make your own by rolling a sticky note into a cone shape. Use the self-adhesive or a small piece of tape to keep the cone from unrolling. Don't have a sticky note? A regular square of paper will do. Step 2. Place the funnel into an open bottle. 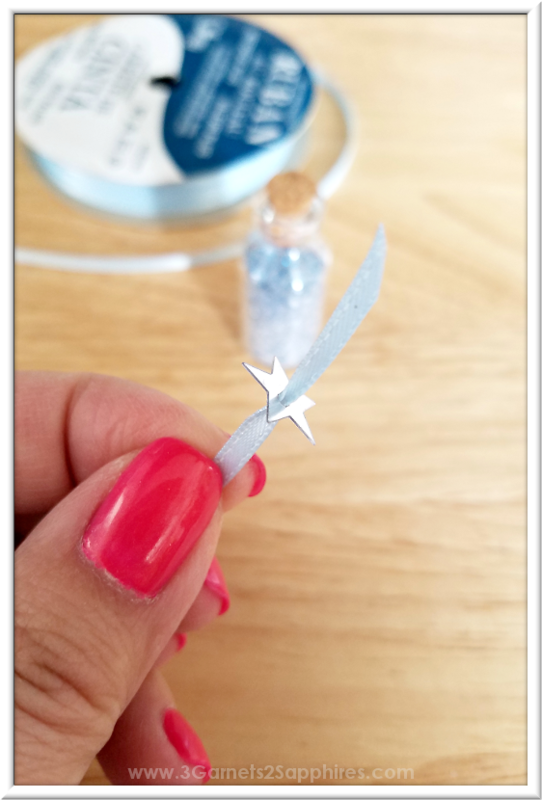 Then fill the bottle about 2/3 with white or clear glitter. Step 3. Using scissors, carefully snip off the very tip of the corner of the pouch holding the color glitter you have selected for your fairy dust. TIP #1: Since these pouches of glitter are not resealable, keep some tape handy. 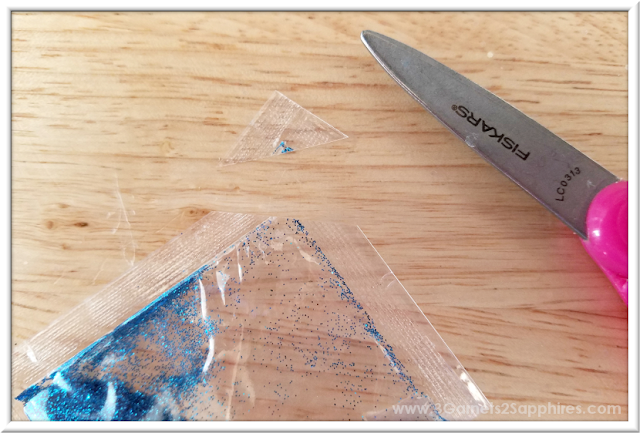 Once you're done with the glitter, fold the opened corner of the pouch down at least twice and secure with tape. Step 4. 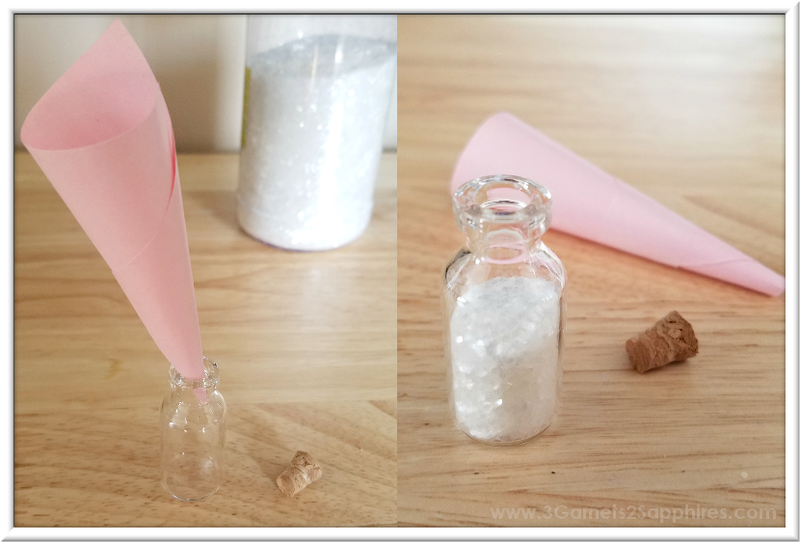 Place the funnel into the bottle containing the white or clear glitter. 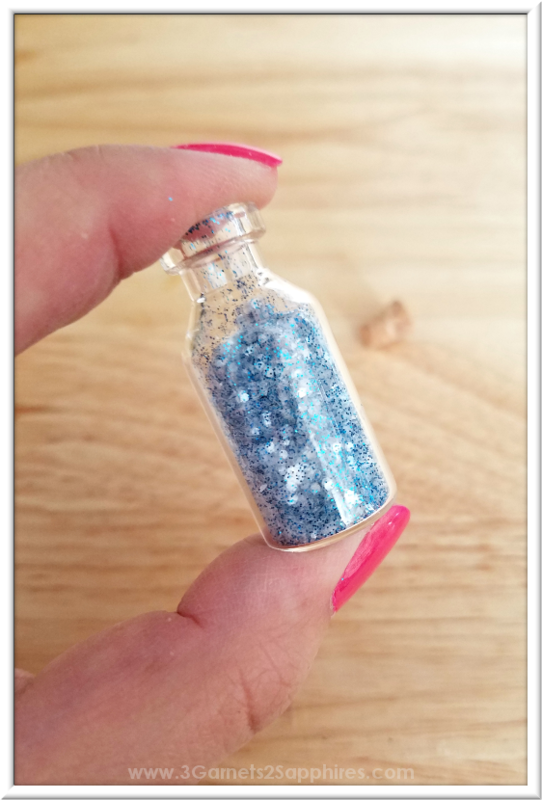 Fill the bottle to the base of the neck with the fine colored glitter. Step 5. Cover the mouth of the bottle tightly with your index finger and shake the bottle vigorously to mix the two types of glitter together. Continue to shake until well-blended. Step 6. You'll notice that the glitter has settled a bit after all the shaking. Place the funnel in the bottle. If the color of the fairy dust is to your liking, fill the bottle to the base of the neck with the clear or white glitter. Then shake to blend. 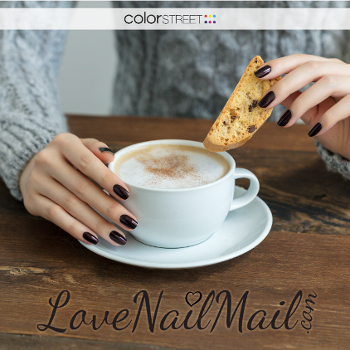 If you'd like to have more color, add a little more colored glitter. Shake to blend. Repeat if needed. TIP #2: Do not overfill the bottles. 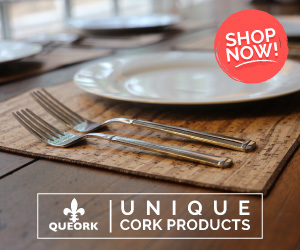 This will ensure there is room for the cork stopper to be inserted securely. Step 7. 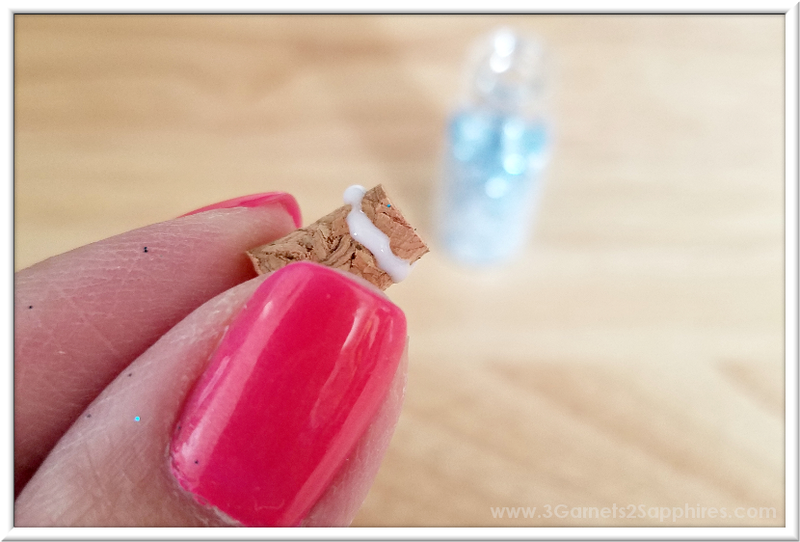 When your bottle is filled to the base of the neck with glitter, apply a small bead of white glue around the circumference of the cork stopper (as pictured below). Then insert the stopper into the filled bottle, making sure it's snugly in place. The glue should dry clear. Step 8. (Optional) Choose a star from your glitter sample pack. 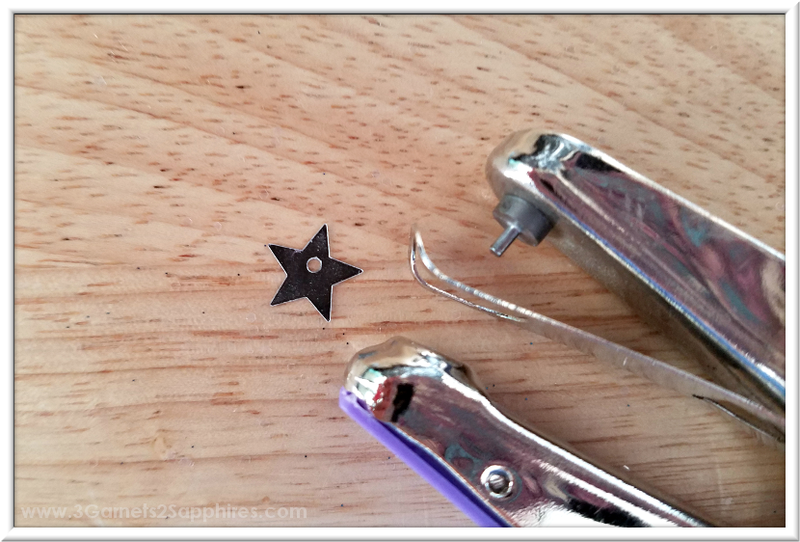 Then punch a slightly off-center hole through the star with your hole puncher. TIP #3: I found that it was common for 2 or 3 stars to be stuck together. It would be a good idea to double-check that you are punching a hole in a single star only. Step 9. Cut a 5" to 6" length of 1/8"-wide ribbon. Then cut one end at a sharp angle, so you have a point. Thread the ribbon through the whole in the star. Step 10. Tie the ribbon around the neck of the bottle. Double-knot the ribbon in the back. Then trim the tails of the ribbon to match the width of the bottle's neck. Then you're done! 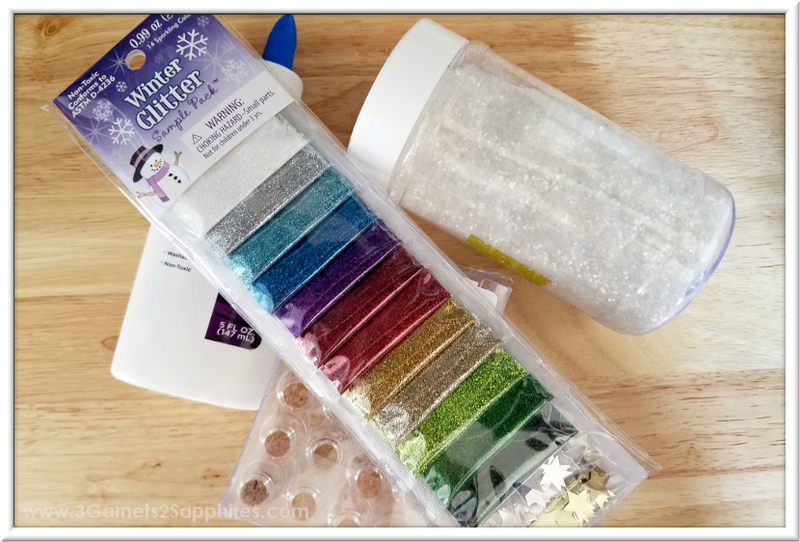 TIP #4: If you plan to use a different color of glitter for your next bottle of fairy dust, be sure your funnel is completely free of the previous colored glitter, otherwise traces of the previous color will appear in your next bottle. If you are using a paper funnel, you may consider discarding that funnel and making a new one for each color of glitter. Cool Fairy Garden Finds . . .
Cat with Butterfly - If you shop around on Etsy, you'll see this black and white cat from several sellers, but fairyinthegarden1 made hers special by adding a butterfly. This extra handcrafted touch is what made me fall in love with this cat. Sitting Fairy - There are actually four of these adorable little fairies to choose from at the FairyBestWishes Etsy shop, and I ended up purchasing them all. They are each in a different pose, wearing a different color dress, and holding a different colored gem. 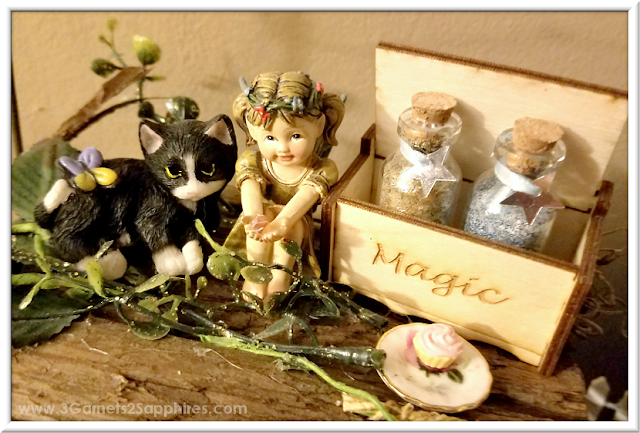 Magic Wooden Chest - I found a cute little toy chest in the MLSLaserEngraving Etsy shop. I inquired whether I could have the word "Magic" engraved in a chest in place of the word "Toys." The seller happily accommodated my request. Originally, I thought my daughter would paint or add gems to the chest, but she seems to like it the way it is for the time being. Miniature Cupcake - These cute little pink cupcakes came in a set of 4. I found them in an Etsy shop called BeesKneesMiniatures. This shop has the most adorable miniatures. I'll be sharing everything I purchased from this shop soon. 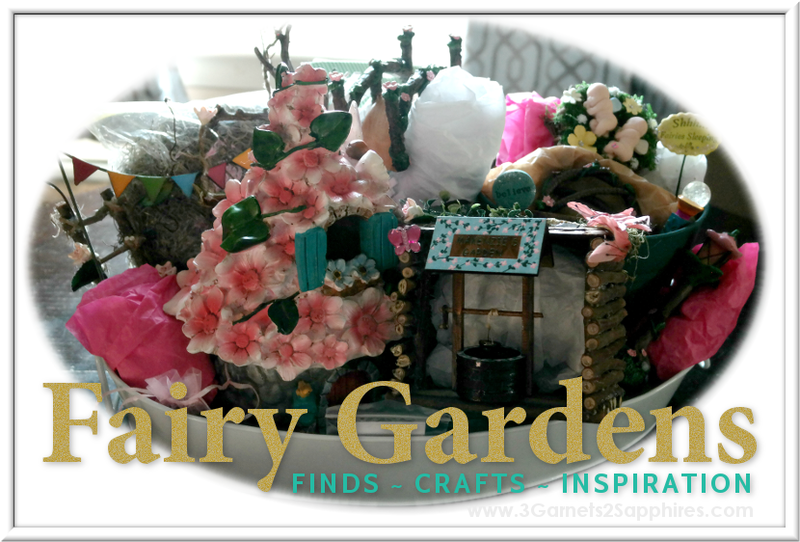 Like this fairy garden craft? Pin It for later . 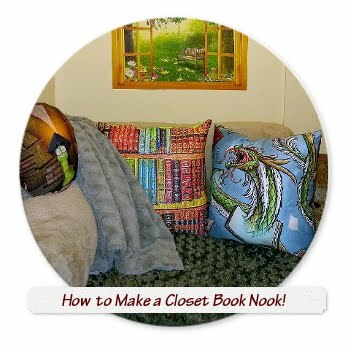 . .
Have a cool fairy garden craft or find to share? Leave a comment here. Find more fairy garden inspiration here.